Agricultural tourism is the holidays concept of visiting a working farm or any agricultural, horticultural, for the purpose of enjoyment, education, or active involvement in the activities of the farm. The concept of agri tourism is a direct expansion of ecotourism, which encourages visitors to experience agricultural life at first hand. Agri tourism is widespread in Pune. Konkan Kanya agri tourism, agri tourists can choose from a wide range of activities that include plucking fruits and vegetables and can purchace directly from the farms. “Tourism is becoming increasingly important to the economy. 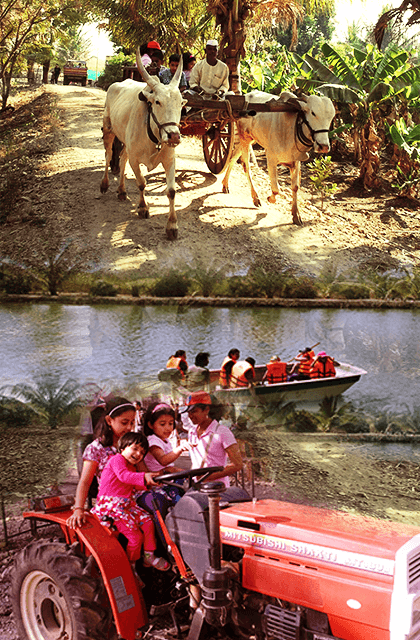 “Agricultural tourism or agri tourism. Is one alternative for improving the incomes and potential economic viability of small farms and rural communities. Some forms of agri tourism enterprises are well developed in konkan. Including fairs and festivals. Other possibilities still offer potential for development. In India small farm center has developed a konkan kanya agri tourism database that “provides visitors and potential entrepreneurs with information about existing agri tourism locations throughout the state. “Agri tourism projects reinforce what need to support local growers and sources and allow the visitors to experience what it is to be part of the land…. “The publication promoting tourism in rural India explains the need for planning and marketing your rural community and weighing the pros and cons of tourism. According to the publication, local citizen participation is helpful and should be include in starting any kind of a tourism program. Citizen participation in planning tourism can contribute to building a successful program that enhances the community. 992 345 7899 /020 67221865 /98 2304 7757.